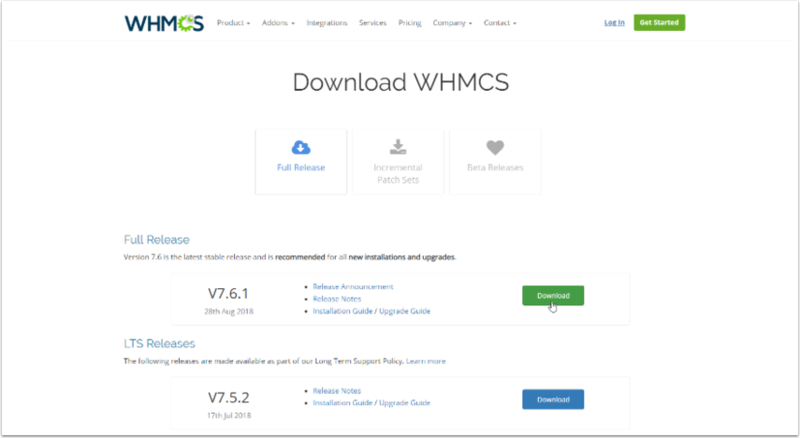 Begin by visiting https://download.whmcs.com/ and downloading the latest stable release which will be highlighted in green at the top of the page. Next, unzip the files and then upload to the desired location on your web server. Now open your browser and navigate to www.yourdomain.com/whmcs/install/ which should appear as below. The installer script will guide you through the rest of the process. 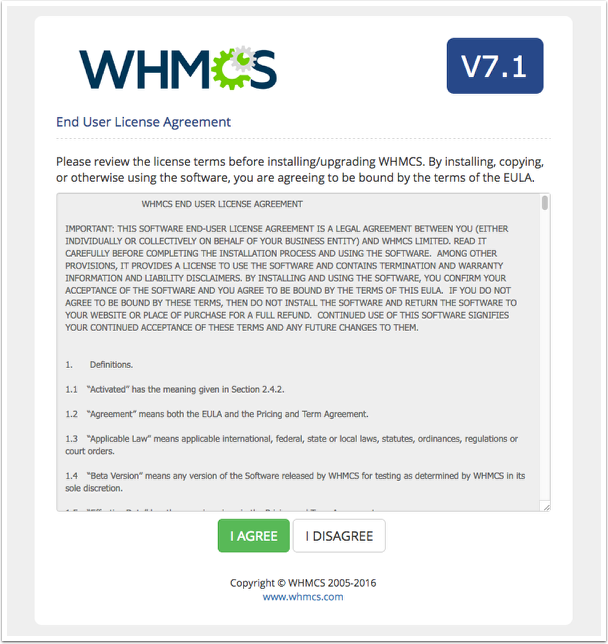 When the WHMCS Installer becomes stuck on Step 4, this almost always is a result of not meeting the WHMCS System Requirements. Most commonly, this happens when the PHP memory_limit value is less that 64MB. Please ensure your PHP is properly configured to support requirements in the document linked above.